Even though there are many search engines on the Internet, Google search controls 63 to 67% of the market share of all searches done online. Bing is the next popular at 18% with Yahoo close behind at 11% and many smaller search engines sharing the remaining 4 to 7%. Google is such an important player in SEO and SEM strategies, Google+ becomes a necessary part of any marketing plan. The numbers clearly indicates that Google search should be your main focus when worrying about search engine optimization and search engine marketing. Any efforts you take in order to raise your ranking at Google will also carry over to better search engine placement on the other large sites listed about. Using Google + for your business is really a no-brainer when it comes to improving search engine rankings. Google favors Google + pages in their rankings because they own it, but it is also simply a great tool for online marketers to expand their reach and influence online. Google constantly encourages web site owners and bloggers to branch out and use Google +, so it would be unwise to ignore this powerful site. Connect your Google – Social extensions are available to help you connect your search results with Google + ads and Google+ 1’s. This allows searchers to immediately see your number of followers and other important information that can convince them to click through on the link. Be Relevant – Attach Google + to your websites and use the tags Rel=author and Rel=publisher when appropriate to claim authorship of content. Whatever piece of information you have on the Internet comes up in the search engines will be displayed with your picture next to it. This can greatly improve brand and personal recognition as an expert in a particular field. Google + Local – if you run a type of business that provides services or products locally in a brick-and-mortar establishment, integrating Google + local with your website can greatly improve search engine results. Along with additional information, a map to your business will be displayed in the search results. Posting Google + updates frequently will also improve your search engine results by including your latest information right there on the results page. This can help companies even if they do not have a local office. Increase Traffic with Frequent Shares on Google+ – As mentioned above, frequent status updates get displayed on your search engine results page. Whenever you post on your blog, do an interview or write a guest post on someone else’s site or have any kind of announcement, submit a new post on Google +. Each time you do this, your website can be re-indexed on the search engine. This also helps you appear in the search engines more quickly without needing to submit your website address at all. The current state of online marketing requires a social media presence and frequent updates to not only increase search engine rankings but to engage your audience. Since the Google search engine commands the vast majority of the market, using its social media site, Google +, makes sense. Even if you are already busy on other social media sites, adding Google + to your marketing repertoire can greatly increase your traffic and, ultimately, your profits. The regular use of social media has become necessary in current online advertising techniques. Facebook, Twitter, LinkedIn and Google + are all beneficial for both local and global marketing. Since local marketing his becoming much stronger, identified in keywords that are associated with your company’s industry or the products you offer and the location in which you do business. If you help people learn how to start their own business and your offices are in Florida, you may choose the keyword phrase “small business startup Florida.” This keyword phrase should be included in your website title and in headings or content on every page of your site. All social media accounts should also include your physical address and a local phone number if you wish to do business in a certain location. This not only identifies you as a local business, but also gives people the opportunity to contact you if they are interested in your products and services. It is possible to get a local number for any location if you do not currently have one. Local marketing efforts should extend offline as well. Be sure your company is listed prominently in the local Yellow Pages of the phone book, at the local Chamber of Commerce and on any of the local company review sites on the Internet. Citysearch.com, foursquare.com, yelp.com and local.yahoo.com are all good choices. If you wish to expand your sphere of influence and build relationships directly with potential customers and client, consider getting involved in Meetup.com groups that pertain to your industry or start your own. Most of the marketing techniques listed above do not seem to have much to do with SEO or SEM. However, the greater your sphere of influence on the Internet and in your local community, the more updates and announcements you will have to share on your own social media sites. It also makes it much more likely for customers, clients or people who just ran into you at, for example, a Meetup group will make a comment on their own social media pages. Local search engine marketing is a powerful tool to improve your search engine rankings. 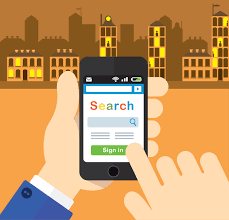 Local searches are extremely popular and consumers see them first when typing their search terms and hitting enter. Expand your marketing to include local interest and watch your traffic and conversion rate increase. The concept that online articles and posts were intended for a human audience was sometimes lost in the drive to get better search engine results. Instead of quality, informative content they focused on keyword positioning and structure in order to make the search technology happy. “Black hat” marketers came up with tricky ways to get people to click through to sites filled with ads and paid links. All the changes being made to Google’s algorithm constantly bring the focus of online content back to where it should have always been: on the audience. When you write for readers, honest companies win out with more traffic and conversions. Changes to the search engine optimization procedure necessitate writing articles that engage the reader and convince them to take action. Gone are the days of posting hundreds of articles on every content site across the web to build your links. If you wish to appear at the top of the SERPs, you will need to publish high quality content that is both keyword specific and of natural use to people who need the information. These changes are highly beneficial to people who wish to build their businesses honestly and naturally. Before you begin posting articles and blog posts on your website, it is important to understand exactly what is meant by quality content. Research and Plan Content First – With powerful search engine technology at your fingertips, researching a topic before you write about it is not difficult. Articles that contain accurate and knowledgeable content will help the reader much more than fluff pieces. Also, including enough information to solve a problem or answer a question will do more to convince readers to take action. Write Content Well for Readers – Even if your writing skills are not at university level and you would never be accepted to write for a high-powered newspaper or magazine you can still write quality content for the Internet. Use every day language so people can understand you, but never be condescending or give the impression you are trying to lecture instead of assist. Likewise, it is very important that you do not load your content with too much jargon or technical talk unless your audience can handle it. You need to understand your audience, your industry and your specific needs and it before you write. Combine Time-Sensitive with Evergreen Content – Evergreen topics are those which will stand the test of time and be useful for readers today and five years from now. Publishing these on your website can give it a continuous stream of traffic in the long-term. Establishing yourself as an expert in your industry will require posting time sensitive articles as well. Keep your blog or website up-to-date with things that are happening now: new technologies, new stories or reviews of new products. Diversify Content Types to Capture Wider Interest – Not only should you post evergreen and timely topics, but you should also diversify the types of content that you offer. Simply posting on a blog every day can get you readers, but also offering on and off-site articles, free reports, tutorials and e-books can add more interest. Do not forget to include audio and video as well as infographics and other eye-catching content types. While the technology behind search engine placement changes regularly, creating diversified, informative and entertaining content that focuses on the audience will continuously improve your search engine rankings in your niche. As Google and the other search engines change the ways they calculate search engine rankings for individual sites, keyword density becomes less important. In years past, when marketers focused on the percentage of keywords in the text, articles for frequently poorly written and lack substance. Due to the proliferation of these keyword-stuffed articles, the search engines change their algorithms to enforce the creation of content that was more in line with what the audience desired. People who do a search want information that helps them solve a problem or answers a question. When marketers focus on these things in their content, their search engine rankings improve. Those who are still stuck in the days of keyword-centric articles will undoubtedly find their sites falling off the first page SERPs. If you are witnessing this with your own website, it may be time to look at how you create your content. If you want people to find your content at all, you still do need to use keywords. Ideally, they should be in the website address, page titles, titles and headings of blog posts and pages. Keywords may appear in the content naturally, especially associated words to the main keyword, but they should not be used on purpose. Instead, focus on what the reader gets from your piece. While some attention to SEO must be given in order for your content to get in the search engines for a particular term at all, the search technology has grown to the benefit of content providers who wish to give real, helpful information to the audience. When someone comes to your website page or a guest blog post you have on someone else’s page, you must engage them with on-topic information and quality assistance. Articles written for keywords only do not make for a good read. Quality content on a webpage can entice the reader to become a customer or client, but nothing does so faster than engaging them in a professional relationship and building trust. Social media posts, comments and responses can be both helpful with your search engine marketing and connecting with your intended consumer base. However, posting just a link to your site will never be as effective as posting relevant information, thought-provoking content and responding to questions and comments. As you build yourself up as an expert in the industry, take care to recommend only the best products and give correct information. Any piece of content that has a keyword percentage even as low as 2% will end up sounding forced and unnatural. If you provide necessary information in an engaging manner, keywords will happen naturally in your text. If you are working with a new subject or expanding your niche, some keyword research may be necessary to find out appropriate associated words that should be found in your article, but this is a matter of information research and not a marketing technique. Put the focus on your reader and the search engine optimization will take care of itself. When you build your online reputation in a particular industry or niche, your SEO and SEM improve naturally. This requires a clear demonstration of knowledge by publishing frequent, informative content on your website, blog, in forums and social media. To become a well-known expert in your field, you need to market yourself as diligently as you market your product or service. Building a positive reputation online will help you succeed in your chosen business. Writing articles and posting them on both your own website and others across the Internet is an excellent way to establish yourself as an industry expert and increase exposure for your company. Both free guest blog posts and paid positions with online magazines, print newspapers and other publications can all help you improve your search engine rankings and your position in a particular niche. Having your name, a short descriptive blurb and a link back to your website on every article you publish will increase the chance of the buying public finding you, and the content on your website will keep them coming back for more information and also increase conversion rates. The frequency of blog posts helps determine how many visitors you get and how much business you do according to a recent study by HubSpot.com. They determined that bloggers who post quality content at least 20 times per month get 97% greater traffic then people who post less. Targeted blog posts directly contribute to both your SERPs and the profitability of your business. The idea of writing an entire book may seem daunting at first, but if you can write a dozen or more articles or blog posts, you can easily write an e-book. Becoming a published author further sets you up as an expert in your industry, and it also gives you an additional product to offer to your customers and clients. The perception that a book is more valuable than articles and takes more work impresses people. Gather all of your knowledge and research together in a well-organized, informative and entertaining book and you and your company will get a great boost. Anyone who has written a quality book can translate that access into appearances on a public speaking circuit. Speakers who are entertaining and informative can get paid quite a bit of money to visit different locations and share their knowledge with an audience. Not only can you get the money up front, but you can sell products on the backend and also market your website at the same time. Announcements about your speaking dates, reviews, mentions of them from audience members on social media sites and press releases kill all improve your search engine optimization as well. Once you have established yourself as an expert, seek out people who wish to interview you for their blogs, websites or off-line publications. An excellent way to forge ahead in this manner is to respond to news articles and opinion pieces associated with your industry. Offer your help and additional information and people are more likely to seek you out in the future. The more frequently these contacts become and the more interviews you give, the more mentions you will get on the Internet. If public speaking in an auditorium or meeting hall is not your thing, or if you simply want to expand your reach even more, consider hosting a webinar online. Webinars are seminars given on the web through programs like Google Hangout on Air and other platforms. A live question-and-answer period at the end of the seminar can further your goal to be recognized as an expert in a topic. That personal touch will also impress people and forge relationships that can carry through to increase business success. All of the instruments of publicity described above can be boosted with mentions on social media sites. Not only can you share links to articles, news stories and other mentions of your activities, but you can create those all-important relationships by responding to questions and getting involved in conversations. Demonstrate both your intelligence and authority and your winning personality to attract more attention. Search engine optimization does not happen only on your website or blog. To maximize results, it is vital that you focus on both on page and off page content and reputation. SEO on your page consists of intelligent keyword usage, linking strategies, tags and the URL itself. SEO off page consists of all the social media, guest blog posts, reputation management that is done on other people’s sites. Anything you do online can affect your search engine rankings, so always be mindful of maintaining a positive reputation and establishing yourself as an authority. Authority is granted to those who make continuous effort to become an expert in a particular niche. Conventional wisdom says that 10,000 hours are needed to become an expert, so to find your focus and start working right away. Be mindful of every action you take online and how it can impact your business and reputation. As your status grows, search engine optimization and marketing efforts will become that much more effective. If you want exceptional results from you are marketing, segmenting your targeted market is a great idea. Since this works, and the same idea be translated into segmenting your keywords and analytics in order to know exactly what is going on and improve traffic and conversion rates. Google Analytics divides traffic into new visitors and returning visitors. You can identify the keywords inputted in search engines that led to your site as well as a section for visitors where keywords are not provided and non-paid search traffic. You can even identify the browser used by the visitors. All of this information combined can give you a reasonable snapshot of where potential customers and clients come from. In your Analytics controls customization is possible so you can choose which segments you wish to view. Possible segments include location, referring sites and which page of your site visitor lands on. Armed with this knowledge, it is possible to tweak your website pages for map some of exposure of your most effective content. Search engine optimization exists to drive interested people to your website or blog. Knowing what the visitors were looking for and where they come from is essential if you wish to create content that engages them and encourages them to take action. Additional segmentation is possible within Google Analytics for many different types of information. Identifying the precise data of visitors who go on to make a purchase or sign up can help you understand how to repeat that success. The purpose of optimization is ultimately to increase sales. This can start out by gathering more leads, having more people sign up to your newsletter and making additional connections with interested parties. Studying the data to determine exactly what pages and keywords cause the most conversions can help you tweak your website. Which page is your most effective sales tool? What are the most popular keywords people are looking for? Analytics provides a massive amount of information, which may seem very overwhelming in the beginning. Start out by filtering and segmenting the data to determine some of the basics about your visitors. Where did they come from? What type of visitor are they: new, returning, affiliates or other? Which keyword did they search for? Did they come from a paid advertisement, a guest blog post or a social media comment? Once they are on your site, which pages do they visit and what actions do they take? For successful segmenting of your analytic data, everything must be appropriately set up to begin with. All redirects, social media, email, QR codes and links must be traceable so you can determine where all the traffic comes from. Without the proper set up, analyzing the information you get can become cumbersome or impossible, and of no use to your search engine optimization campaign. After all the search engine optimization is tweaked to perfection on your website and across the web, and your traffic is humming, you may still be dissatisfied with your conversion rates. To translate those clicks into sales or contacts you need to form some relationship with the potential customers. The best way to begin these interactions is with social media. A member of the Internet public spot a link to your website or mention of your product and service on a social media site. They click the link and go to your website where they can learn more about what you have to offer. Too often, this is as far as the transaction goes and they simply click away again without making a purchase, signing up for your newsletter or following your blog. An Internet user sees your link and clicks through from the social media page to your website. They check out the information you offer and are compelled to act upon it. They follow through to your product pages and buy, scribe to your blog or a membership or enter their email address to opt in to your newsletter. The time between the first example and the next is only a matter of seconds. If you do not grab a site visitor’s attention immediately they will be lost. Creating the conversion from site visitor to customer, client or subscriber’s most challenging part. To get it right, you should start at the beginning. If you want your leads, customers and clients to stay engaged with what you have to say and offer, you need it to create content that interests your audience. If you do not help solve a problem or otherwise add value to their lives, they will not be compelled to take action on an offer, sign up for a newsletter, or hire you to perform a service or make a purchase. Every piece of content you share on your website or blog should have a comments section to encourage reader participation. When a member of your audience makes a comment or asks a question always answer or respond in a timely manner. A blog article or social media post is a great way to share and offer, and announcement or topical information, but that is not enough to encourage readers to become customers. Consumers want to build a positive relationship with the companies they do business with, and social media is an excellent medium to build those relationships instead of simply being promotional. Always respond to others comments, share amusing anecdotes or inspirational quotes, answer questions and share others’ information as well. Creating a positive community helps your audience see you as a trustworthy individual instead of a faceless corporation. When someone says “social media” people usually think of Facebook, Twitter and Pinterest, but there are many other sites that encourage socialization and discussion about specific topics. Online message boards and forums are frequented by people who wish to get information and engage in conversation about a vast array of subjects and interests. As long as you do not try to spam forums with useless posts that include links to your site they can be a quality source of potential customers and clients. If you provide worthwhile information and stick to the topic of interest, people are more likely to recognize you as an expert in the field and also to click through to your profile link and visit your website. Mimic your online forum postings to methods you would use to network with people off-line. Instead of walking up boldly and starting a sales pitch, you take the time to exchange pleasantries and get to know each other before the topic of business comes up. An exchange of business cards is very similar to the posting of a profile link in the signature of a forum post. They are both opportunities for the other person to contact you if their interest is roused. Conversations lead to conversions. Every online marketer understands what SEO and SEM are. They have been the main stains of online content and marketing for many years, but now are being overshadowed by OAO instead: online audience optimization. While SEO focuses on search engine traffic, it does not necessarily help with the identification and attraction of your ideal audience. Optimization of your online audience helps make the traffic you get from the content you provide worthwhile. Many marketing experts have been explaining for a long time that it is necessary to understand your audience and the people for whom you are offering services and products. This audience is why your company exists and all of your efforts should be in line with what they require. Knowledge of your customers’ demographics, interests and needs is vital to providing them with quality products and services, but it does not go far enough to engaging them as a customer. Understanding the problem they seek to solve and demonstrating that you care to provide the best solution will go a long way toward building the trusting relationship that consumers prefer to have with companies. Also, creating that emotional bond is excellent marketing. Too many marketers focus on the top search engine positions and constantly tweak their keywords and content structure in order to stay up to date with Google’s algorithm changes. The search engines’ goals are to provide high quality content to searchers, which is why they keep changing whenever some marketing system is found. Instead of creating content for search engines, a line your goals with theirs and create content with the end-user in mind. The person who reads your content and not Google is the one who will hire you or buy your products. Whether on social media, your blog or website pages, it is important to engage with your audience. How receptive they are to your content and comments can be analyzed by looking at your site pages stickiness and bounce rates. If you encourage participation of your reader through the use of polls, discussion questions and even controversy, they will stick around on your site longer and be more inclined to take action. The days of keyword stuffing and writing for a particular density are past. No matter what type of content you write – blog posts, articles or short reports – the number of keywords you put in the text should not be your goal. Although it remains important to use the keyword phrase in the title and headers, paying attention to the needs of your audience will result in a better response, conversion and search engine placement as well. Any targeted keywords and associated words and phrases should occur naturally in the context. SEO is not dead like some people say, but has instead changed to put the focus more on the reader then the algorithms and mathematics behind the words. Before the Internet even existed, marketing was targeted to people. The audience was studied, their needs analyzed and then advertising was created to indicate you could help them with those needs. Search engine optimization must include the traditional and highly effective focus on consumer in order to maximize your marketing potential.